Shape the future with us. Creative solutions that simply work. The Kodak Alaris i3200 Scanner is purpose-built to deliver consistent throughput for your office. This departmental document scanner is loaded with impressive imaging functionality for onboarding batches of information, and Intelligent Document Protection to defend against damaged documents and lost data. Work efficiently and interruption-free with a design and features that anticipate workflow issues and power past them. Save time and effort, and get exceptional value, with a Kodak Alaris scanner that thinks and works like you do. This A3 rotary document scanner can take on virtually any challenge while taking up less space on your desk – making it the perfect fit for any business that doesn’t have a second to waste. Download the complete Kodak Alaris i3200 Scanner Specifications here. 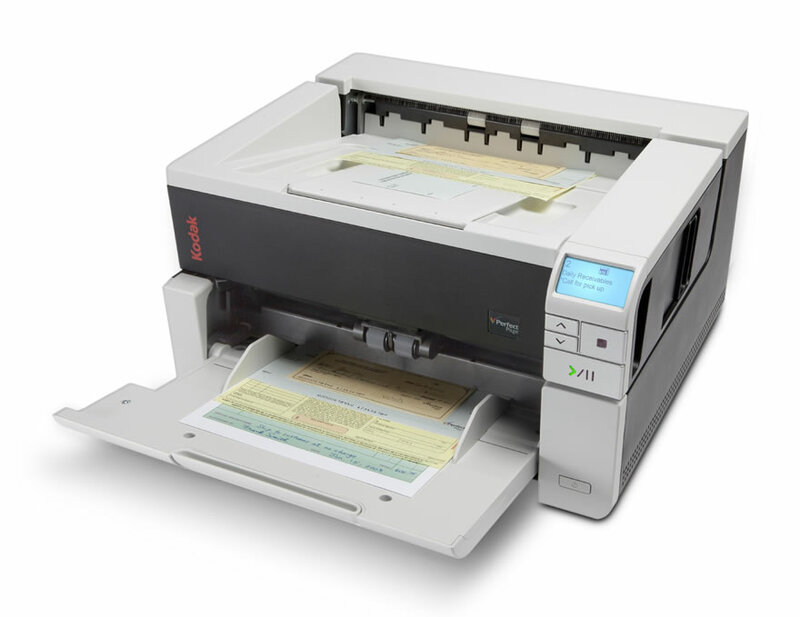 Explore other departmental document scanner models in the Kodak Alaris i3000 Series here. Save space with a robust paper transport and heavy-duty features in a compact, desktop-friendly design. Get reliable throughput in color or black and white, at 200 or 300 dpi. Intelligent Document Protection listens for problems and alerts you before they become jams or misfeeds. Cardboard, file folders, and extra-long documents fly through the scanner’s straight-through paper path. We would love to hear from you. One of our specialists will contact you as soon as possible.